A shopper in Berridge’s herb section selects a choice fennel starter. 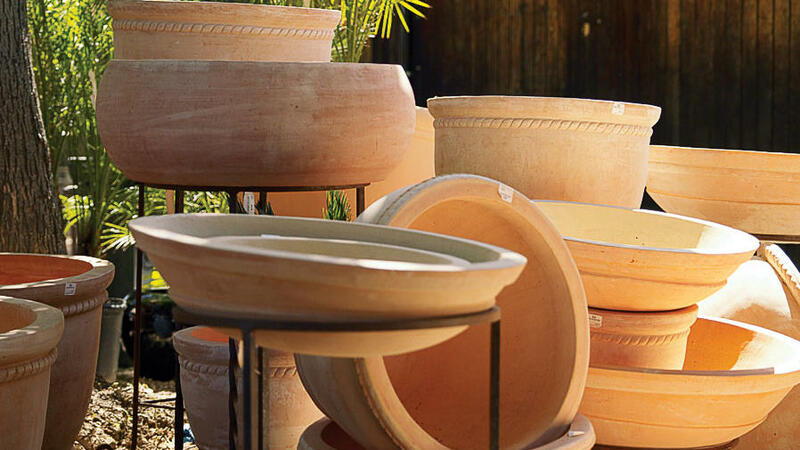 High-fired Asian terra-cotta pots are big sellers at Berridge. But they’re actually just a small part of its great container collection, which includes modern, glazed, and Italian styles. Desert Survivors (closed Sun; 1020 W. Starr Pass Blvd., Tucson; or 520/791- 9309). Plants native to southern Arizona, including Baja fairy duster, chuparosa, and Chihuahuan honeysuckle. 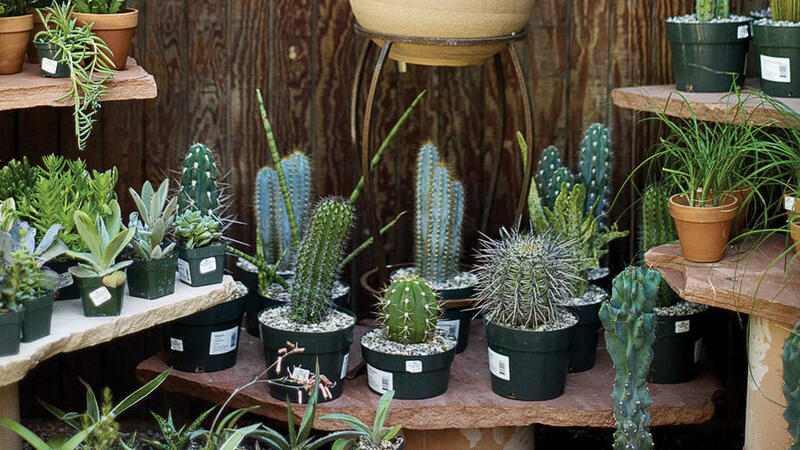 B&B Cactus Farm (11550 E. Speedway Blvd., Tucson; or 520/721-4687). Impressive selection of agaves, aloes, cactus, euphorbias, and yuccas, plus pottery and demo gardens. Santa Fe Greenhouses (closed Sun; 2904 Rufina St., Santa Fe; or 505/473-2700). 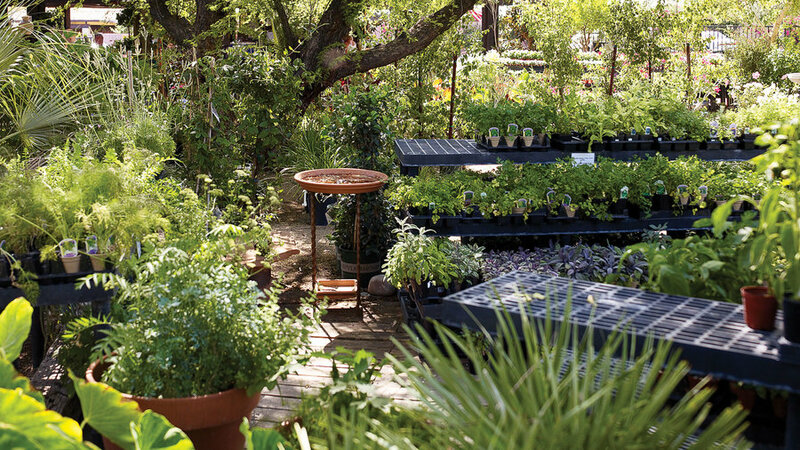 The flagship store of High Country Gardens (highcountrygardens.com) sells unthirsty perennials, shrubs, trees, and vines, all adapted to high-desert climates. 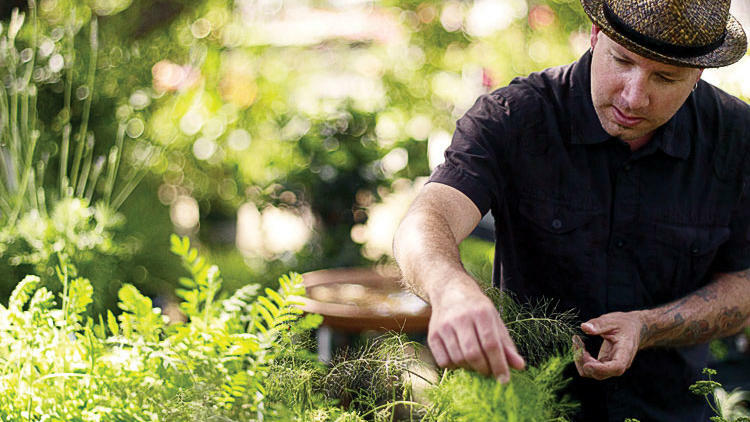 Display gardens, garden tours.